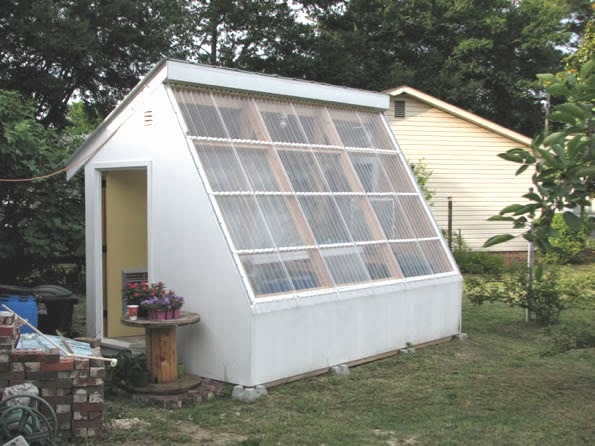 Russell has a unique and effective solar heating system for his greenhouse. On sunny days, the system takes excess heat from the peak of the greenhouse that would normally just be vented outside and uses a water to air heat exchanger to transfer this this heat to a large heat storage water tank. The heat stored in the water tank provides heat to the greenhouse on cold nights and cold cloudy days. The same water to air heat exchanger that stores heat is used to distribute heat to the greenhouse. In Russell's North Carolina climate, the system is doing quite well and is able to weather cold and cloudy days on stored heat. The fan at the top of this picture pushes heated air down the duct and through the water to air heat exchanger that is just visible under the bench. 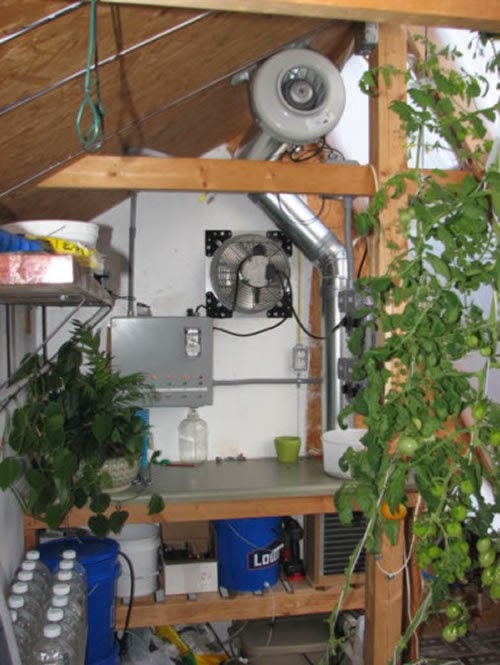 A pump circulates the warmed water to a 275 gallon heat storage tank behind the wall. 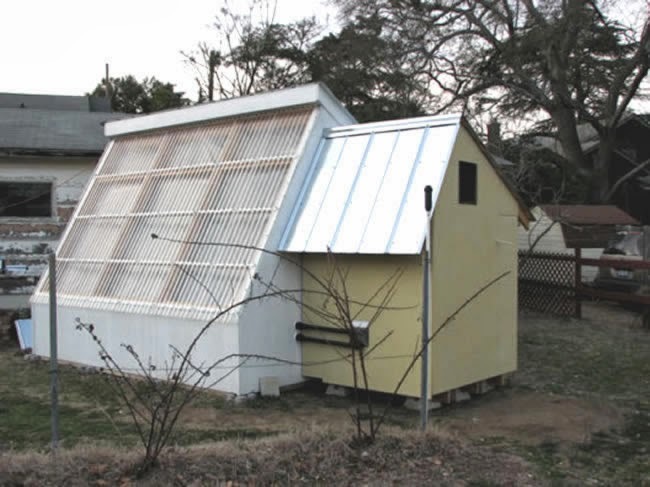 The heat storage tank lives in the yellow structure that adjoins the greenhouse. At night when the greenhouse temperature falls below a set value, water is circulated back to the water to air heat exchanger, and the same fan that pushes hot air through the heat exchanger now pushes cold greenhouse air through the heat exchanger to warm it up.